Anyone remember these old medicines? Are they even still available? Well I guess technically Oil of Citronella was more used a insect repellent. And yes I know you can get olive oil in the grocery store, but lets talk about the uses we had for them back in the day. 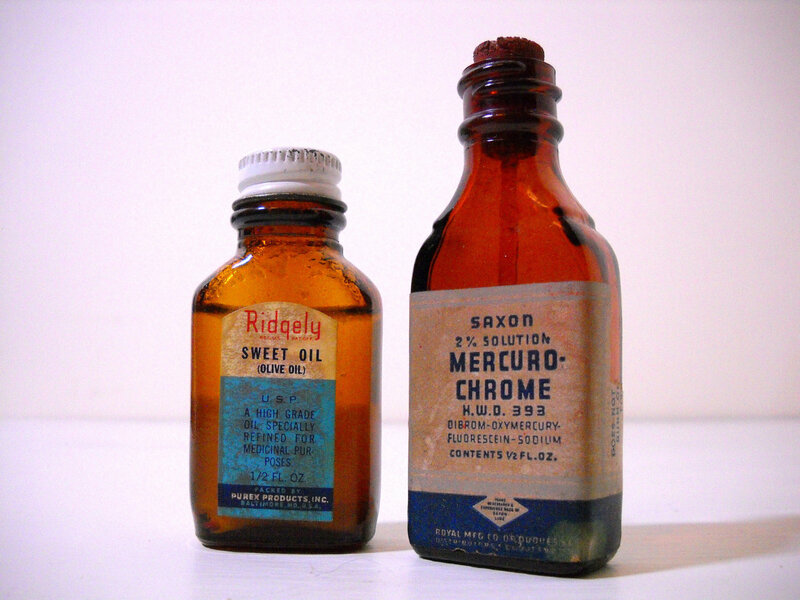 Mercurochrome was an antiseptic, often put on small scrapes and cuts. Left a red splash on the skin. I can remember the little bottle now with the eye dropper style dispenser. It had mercury and was removed from the market. Mercury is what made hatter’s mad. Never had any noticeable effect on me though (cough). Olive oil was warmed and used in the ears to break up wax as well as to alleviate ear aches. Any other uses I don’t recall! 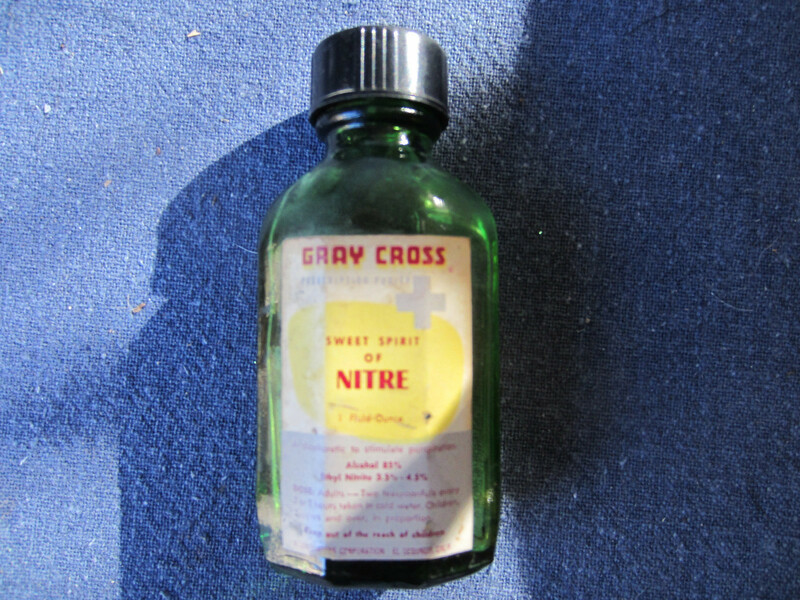 Spirits of Nitre – I remember this as a medicine to use for an upset stomach, or gas. We always had this on hand as well as peppermint (which i don’t think was the same as peppermint extract). Not sure if that was its official use, but hey if you know more please comment! Oil of Citronella – My memory of this really just comes from one instance, my cousin Bill Smith gave me a partial bottle of this telling me it was the best thing to use for “fly dope” (insect repellent). I still remember the green glass bottles, and I know there were a ton more of these little glass bottles in households years ago. Remind me of some more? My cousin Carol reminded me of Friar's Balsom. Not really sure its intended use, but people put a few drops on a spoonful of sugar for coughs. According to her it took your breath away so that you forgot to cough! Got quite used to the sting of Mercurochrome when I was young. I figure it’s why I’m slightly mad Mua Ha Ha Ha! I don’t recall these remedies, but i do Cod Liver Oil. I attended a one room school house in Elliott’s Cove back in the early sixties. The teacher would line the kids up and spoon that awful stuff down our throats. Just the thought of it makes me gag!